Contents 500 g Expiration date date of manufacture than about 12 months How to Save Direct sunlight store raw materials kelp at room temperature away from heat and moisture (Hokkaido) sugar fermentation style liquid seasoning spices sorbitol seasoning (such as amino acids) caramel dye acidulant Product Description Iso of wood kelp is iso flavorful delicacy and the you kelp is the soft, pulled up from the sea in the middle of growth as a raw material. 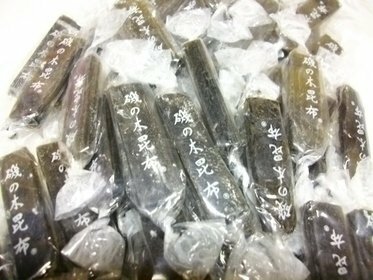 Snack to go with tea is of course available widely patronized as a snack for children development Full Bloom. Iso flavor is rich delicacy. We have the raw material a soft Is the you kelp. It is for profitable business. Manufacturer: Zhongshan Food Industry Co., Ltd. Publisher: Zhongshan Food Industry Co., Ltd. Studio: Zhongshan Food Industry Co., Ltd. If you have any questions about this product by Zhongshan food industry, contact us by completing and submitting the form below. If you are looking for a specif part number, please include it with your message.